Masterpieces from art greats like Ramon Orlina, Joe Datuin, Eduardo Castrillo, Ral Arrogante, Ferdie Cacnio, and Jun Vicalso, as well as from many rising stars, will be front and center at this momentous affair. Artworks will be available for purchase during the four-day exhibition. Art with a Heart. Rotary Club of Makati West (RCMW) president Aurelio Paulo “AP” Bartolome (seated, left) and Ayala Land assistant vice president Myrna Cruz-Fernandez (seated, right) enter into an agreement to hold the Alay Sining 7 exhibit-sale at The Gallery in Greenbelt 5on November 27-30, 2014 for the benefit of the Gift of Life International, an organization that provides surgery and treatment for children with congenital heart disease in emerging countries. They are joined by(standing L-R) Greenbelt Malls marketing associate Christella Soriano, former RCMW president Atty. Edward Balois, Ayala Land Commercial Business Group associate marketing manager Mitch Hernandez-Suarez, and former RCMW president Ernie Fajardo during the media launch of Alay Sining 7. Alay Sining 7 will feature the works of both internationally acclaimed and upcoming Filipino sculptors. For more details on Alay Sining 7, call (632) 753-3098. Proceeds from the art exhibition will benefit the children of the Gift of Life International (GOLI) Foundation, a Rotarian based organization that provides funding for the surgery and treatment of children with congenital heart disease from low-income families in emerging countries. In the Philippines, GOLI has been raising funds to help defray the cost of surgeries in conjunction with the RCMW through various charitable events. “It is always a great opportunity to be able to display your work in an event that’s close to your heart. Having had a heart attack just last year made me more attached to the project. I’m happy that I can use my talent to help those who are helpless. I firmly believe in the advocacy of the Rotary Club of Makati West to help those in need through the Gift of Life,” said contributing artist Cacnio. Art with a Heart. Rotary Club of Makati West (RCMW) president Aurelio Paulo “AP” Bartolome and former RCMW president Atty. Edward Balois (center), joined by the Agliam family, one of Gift of Life International beneficiaries (2nd and 3rd from left, front row), an organization that provides surgery and treatment for children with congenital heart disease in emerging countries, view the artworks of Alay Sining 7 contributing artists Sam Penaso, Jinggoy Salcedo, Richard Tuason, Jaime Nepomuceno, Merlito Gepte, Glenn Cagandahan, Joe Datuin, Donato Alvarez, Dr. Jose T. Jose, and Kish Javier. 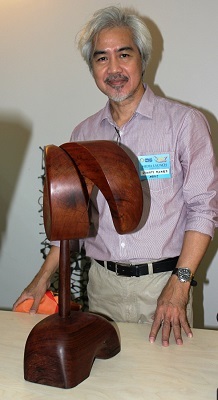 Artist Donato Alvarez donates his artwork “Horn” to the Alay Sining 7. Artist Joe Datuin donates his artwork “Mother & Child 3” to the Alay Sining 7. Artist Glenn Cagandahan donates his artwork “Going to Market” to the Alay Sining 7. 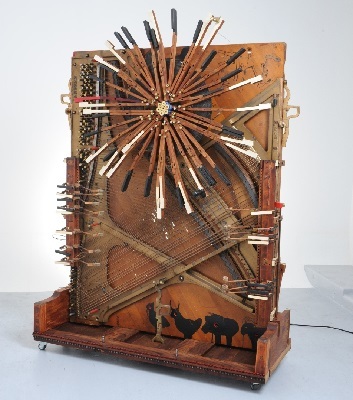 Artist Jing Turalba donates her artwork “The Piano” to the Alay Sining 7. Artist Arrogante Ral donates his artwork “Boathouse on Stilts” to Alay Sining 7. Gift of Life International has already funded the operation of more than 300 heart patients in the Philippines. In cooperation with the Rotary Club of Makati West and through the Alay Sining art exhibit, the Gift of Life helps around 30 to 40 Filipino kids get free heart surgery and treatments every year. “There are about 1.7M babies who are born in the Philippines every year and about 17,000 of them will have congenital heart defects. If they were to go to a private hospital, it would be very common that these patients will spend anywhere from P750,000 to P1 million for heart surgery,” said Dr. Karl Michael Reyes, an adult and pediatric and congenital thorai and cardiovascular surgeon. A child’s congenital heart defect can be as benign as having a small hole in the heart which can heal over time. However, some cases are more acute. What’s worse, about 94 percent of those who suffer from CHD come from families that cannot afford proper medical attention. “It is always very fulfilling for any benefactor like the artists in this year’s Alay Sining exhibit that you can make a child well because of the generosity that you have given,” Dr. Reyes said. The art-for-charity event will be highlighted by several activities including an afternoon with the masters and an on-the-spot children sculpture making session. For more details on Alay Sining, call (632) 753-3098.